Mary and I have been reading about and contemplating the life, death, and resurrection of Jesus Christ this week as we prepare for Easter morning. Even after remembering the horror and agony of Christ’s final week on earth the overall message of renewal and life shines through and gives us hope for joy in this life and eternal life with a loving Savior in the next. Easter always signaled the official start of Spring for us more so than the calendar. I am sure that most of our family and friends in the north are plotting out their flower beds and vegetable gardens and are looking forward to the beauty that flowers and plants bring to their lives. The other morning I went out to let the chickens out and noticed a particularly tall bud sprouting up on our parrot’s beak heliconia plant. 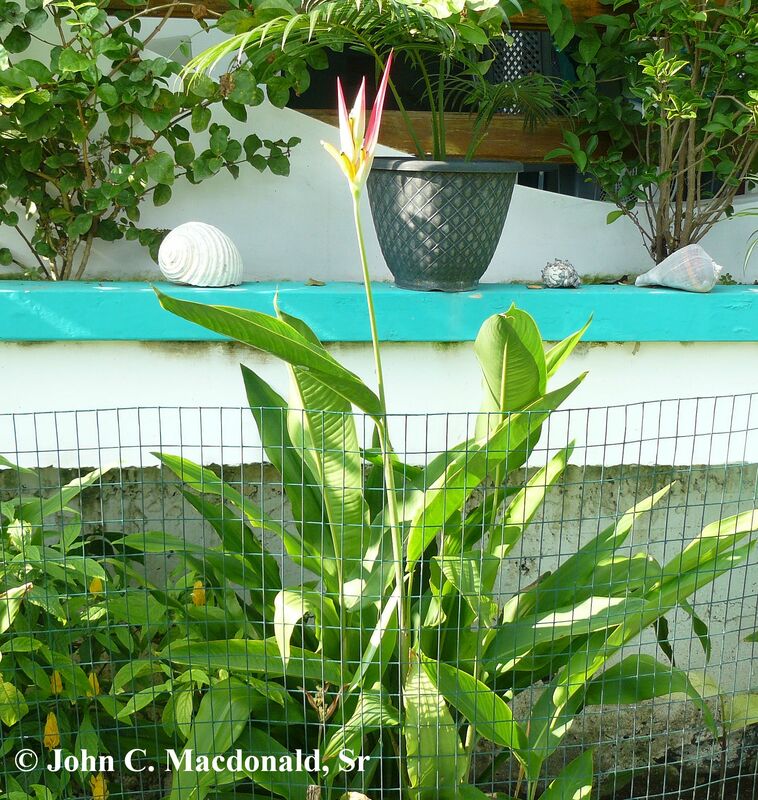 We have written about these heliconia plants and detailed their flowers before, but always in our other plants the flowers stood about two and a half to three feet tall. This new budding flower was about twice that tall! The flower opened up this morning.